Lift the lid and pop in one of three coffee pods (regular, hazelnut, or mocha) and turn the knob to choose the serving size! 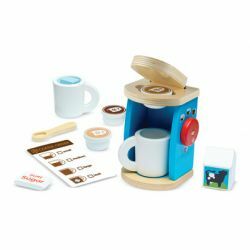 Too hot for coffee? 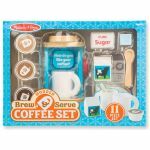 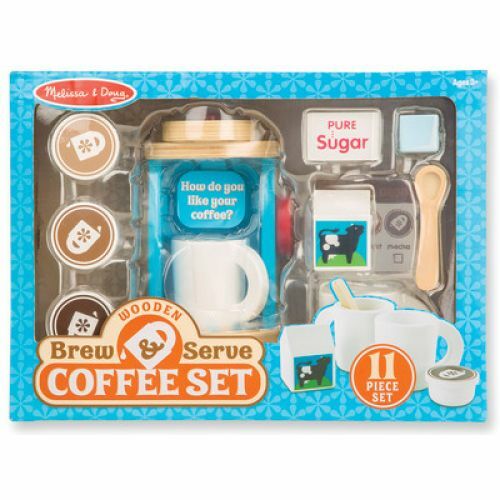 Add the included ice cube to make it “iced.” The 11- piece set comes with two wooden mugs, creamer, sugar, a spoon, and even a reusable order card for budding baristas!